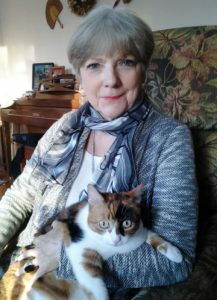 Pat Valusek, President of New York State Humane Association. Inundated with snow and overwhelmed with cold? It’s a good time to spend some productive hours in your warm home reviewing and taking action on legislation affecting the lives of the animals we all care about. Though sometimes citizens may sometimes feel cynical and think their voices do not count, that is simply not true. Your feedback on a bill that a legislator has created to help animals is important to him or her. Your letter or email of support is encouragement to stay with it even in the face of opposition from vested interests. Though citizens may sometimes feel cynical and think their voices do not count, that is simply not true. Your feedback on a bill that a legislator has created to help animals is important to him or her. Your letter or email of support is encouragement to stay with it even in the face of opposition from vested interests. In the Legislation Column in this newsletter we’ve listed the bills that NYSHA is actively supporting this year. This is not a complete list of animal-related legislation, but rather those that we believe are excellent and have the best chance of passing. Please help by contacting your legislators to express your support. Contact information is on the NYS Assembly website. You can call, write, or email them, but please do let them know you support these important bills to improve the lives of the animals. Of particular interest to all animal shelters that harbor animals in cruelty cases is a bill related to the Security Bond Posting process, requiring owners of seized animals to place a security bond with the court to cover the costs of their care. A00062-A/S04796-A will result in a speedier resolution of security bond hearings by preventing the attempts by some defense attorneys to divert hearings from the court in which the criminal charges were filed to superior courts when the bond request is substantial. The bill has passed the Assembly and is slated to go for a hearing in the Senate. The sponsors need to hear from you regarding the importance of this legislation to agencies who care for animals during a cruelty case. Please help New York animals by supporting the legislation that impacts their lives.